About Xaio Liuqiu：Lying in the sea about 14 kilometers to the southwest of Donggang in Pingtung County, Xaio Liuqiu is the only one coral island in Taiwan. Three special features make this island unique: the finest location for viewing the sunset, the most species of coral, and a terrain made up of coral. Extraordinary coral rock formations stand all over the island and its ocean scenery is alluring. It is a fishing island whose inhabitants are intensely religious; there are numerous temples here, each with its own exclusive features and special attractions. If you are looking for a peaceful vacation on an island, Xaio Liuqiu should be at the top of your list of choice. Let the clear blue sky and sea water, and interesting local folk customs and cultures entertain your eyes, amuse your bodies and enrich your minds. Geographic LocationThe longtitude of Xiao Liuqiu, Taiwan is 122゜21'55",and latitude is 22゜19'48". 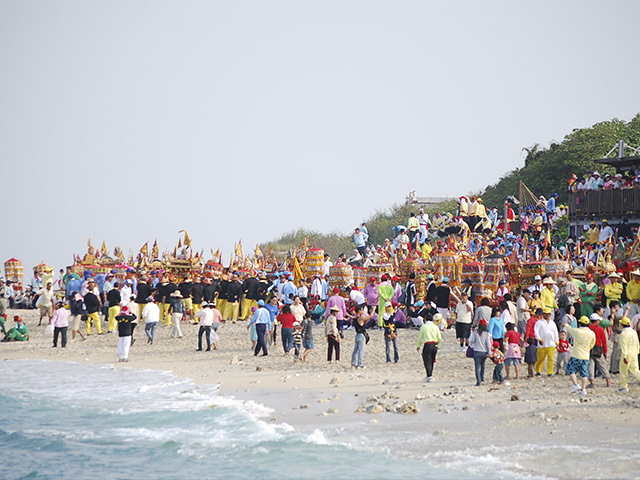 The island of Xiao Liuqiu is located in 14km southwest of Donggang, Pingtung. 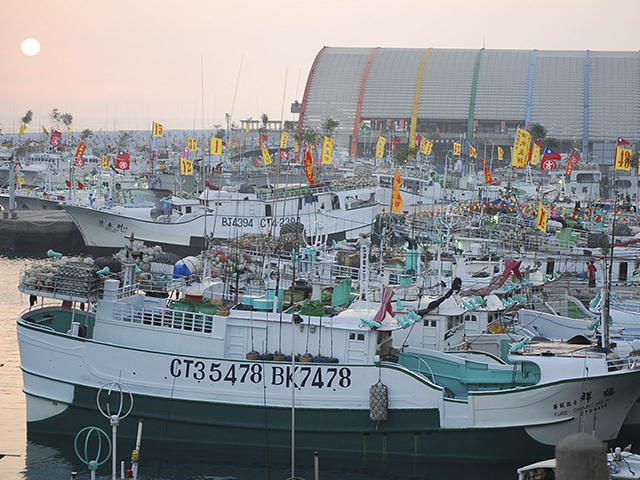 And, it is a important geographic location of between Taiwan Strait and Bashi Channel. TransportationThe shape of Xiao Liuqiu island is smiliar to a boot. With the total area of about 638 square kilometers, Xiao Liuqiu is 4.5 kilometers long and 2 kilometers wide at its widest point. It relies on ferries from Xiao Liuqiu to Donggang. ClimateRainfall: Average 8.8 days a month; monthly less than 5 days during November –March; Typhoon seasons is the major rainfall months which generally held around May-September. Annual rainfall in Xaio Liuqiu between 1000-1500mm Temperature: Annual temperature: 25.6C; Average temperature in winter (January): 20c, Average temperature in summer: 28.7. Tempature：Because of the position of Xiao Liuqiu in low latitude, the temparture is higher than other towns in central and southern Taiwan. The average temperature is 25.6 degree celsius. The small island is easily affected by sea winds around all seasons. Therefore, winter is warm and summer is pleasant. During the decade, the highest monthly average temperature is 28.7℃ in July, and the average temperature in Janurary is around 20℃. Wind speed：Annual average is 1.8m/second, and the island is less influenced by northeast moonson. 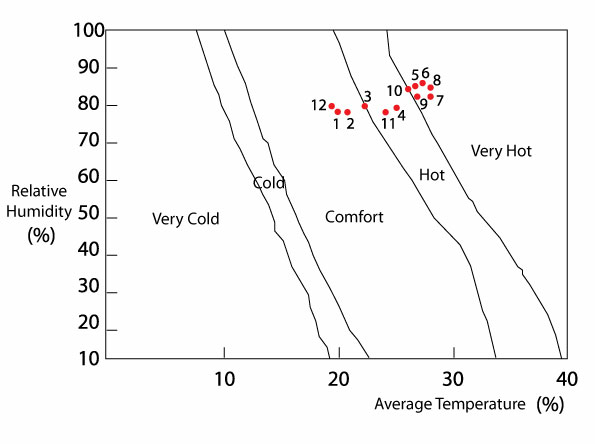 Comfort Index：A comfortable climate is throughout the year. HydrologyDue to topography of Xiao Liugiu, water mainly relies on benthic water pipes from mainland. GeologyIn the coastal regions, the geology is coral and sand. TopographyLiuqiu Island was divided by two grabens and formed into four plateaus. History and CultureXiao Liuqiu is a fishing island which folk are strongly religious. The local culture bonds tightly with the religions. There are numerous temples here, each with its own exclusive features and special attractions. 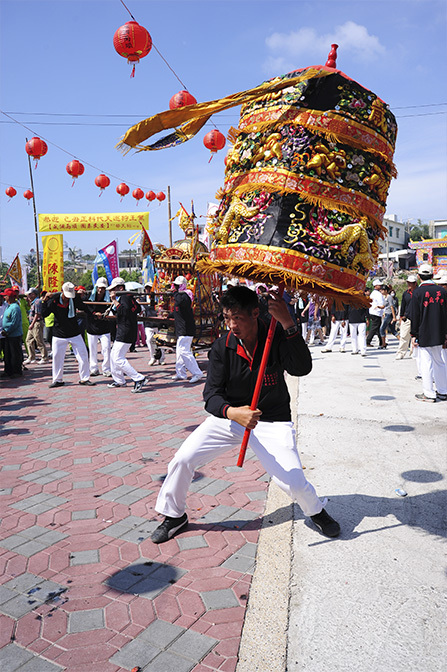 Xiao Liuqiu Wang-Ye Worship Festival is the one of the most important religious festivals which is held every three years.